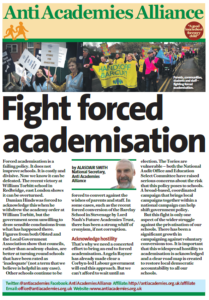 I recently met staff from a so-called “zombie school” – a school waiting for the dubious honour of being transferred from one academy chain provider to another. 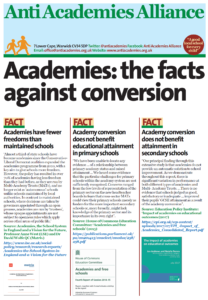 According to some reports there are more than 60 zombie schools, a statistic that equates in reality to some 40,000 pupils cast into a nowhere land. These are the school also known as SNOWs (Schools that No One Wants), or “untouchables”. The stories from within these places are horrifying. Teachers desperately look for alternative employment, parents looking for alternative schools and the poor old children turning up each day feeling more and more alienated from the system. 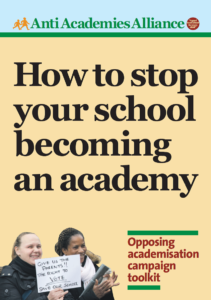 When are we going to acknowledge that this attempt to privatise all schools through academisation simply has not worked for far too many schools, and for far too many children?